This classic textbook covers the social, economic and political history of Italy from unification in 1870 to the present time. This new edition brings students right up to date, with increased coverage of the the 1980's and 90's and a new section on the turbulent reign of Silvio Berlusconi. 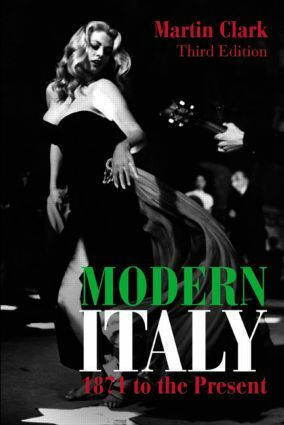 Other changes include updating the coverage of Liberal Italy and Fascism in the light of recent scholarship and changes in historiographical approach, additional material on Italian popular culture and a new chronology.